Take a bite out of this invasive plant. 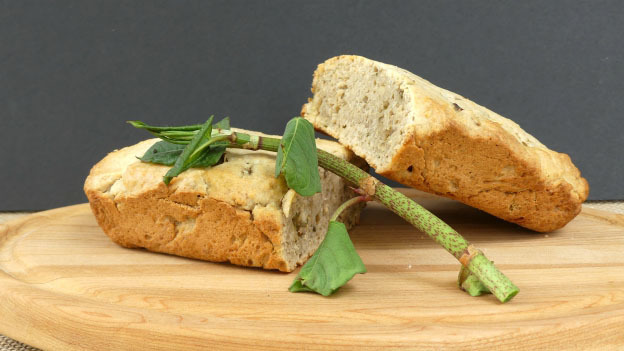 This nutrient-dense bread is made with Japanese knotweed and it can be enjoyed as a breakfast bread or an anytime snack. Sift all dry ingredients together into a large bowl. In another bowl, beat the egg, oil, honey and orange juice. Add walnuts and purée to dry ingredients. Then add the moist ingredients. Blend only until all ingredients are moist. Spoon into a greased loaf pan. Bake about 1 hour at 350°F or until a knife inserted in the centre comes out dry. Cool on a rack.